DJJASPER21 changed some attributes to Skyrim SE Multi Race Mod: Description changed. 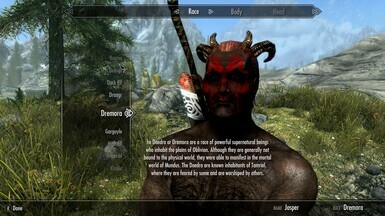 DJJASPER21 changed some attributes to Skyrim SE Multi Race Mod: Summary changed. ; Description changed. ; Mod version changed to 3.0.0. DJJASPER21 changed permissions for Skyrim SE Multi Race Mod: The author is now allowing a single comment topic and discussion tab. 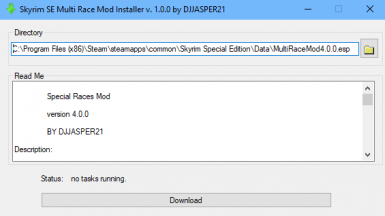 DJJASPER21 changed some attributes to Skyrim SE Multi Race Mod: Description changed. ; Mod version changed to 1.5.